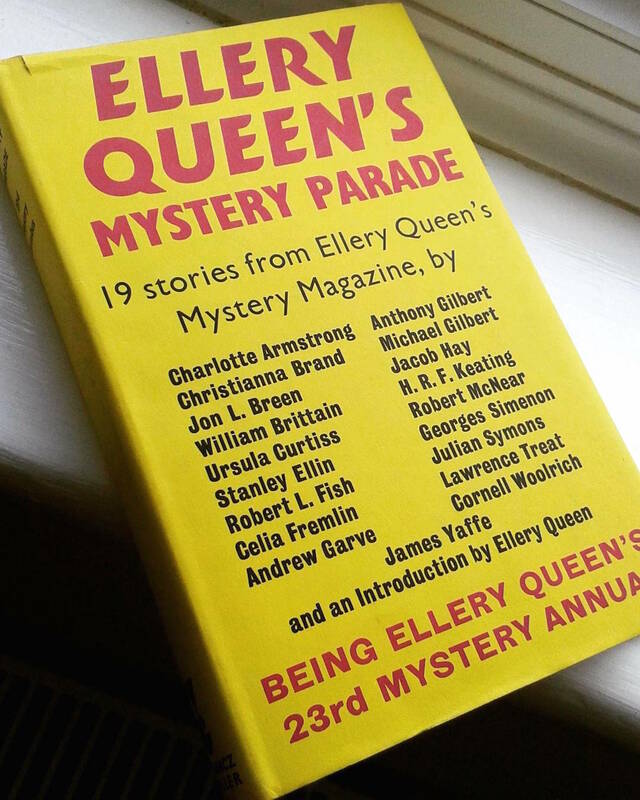 Ellery Queen's Mystery Parade, published by Gollancz in 1969 under one of that publisher's iconic yellow typographic dust jackets. Being a UK edition of a US collection – the book was originally published by New American Library in the States in 1968 – the title of "The Terrorists" was retained; it wasn't until 2007 that the story was published in book form under its British title of "Double, Double", when it was included in the posthumous Michael Gilbert collection Even Murderers Take Holidays. 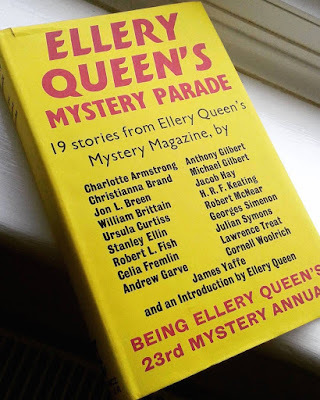 I'm not sure why it wasn't collected in the 1982 Calder and Behrens anthology (it appeared in Ellery Queen's Mystery Magazine and Argosy too late to have been included in Game Without Rules) but I can hazard a guess or two. In Argosy, it was published under the overarching series title of "Agents in Action" in the April 1967 issue. 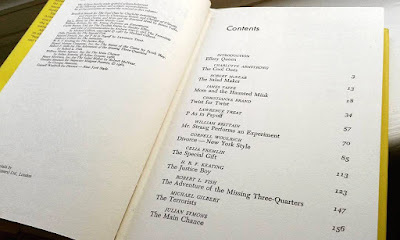 Part one of that series, "Upon the King", was published in the March issue and collected in Game Without Rules, while part three, "Twilight of the Gods", was published in the May issue and collected in Mr. Calder & Mr. Behrens, so perhaps "The Terrorists" fell between two stools. Or it could be that it was simply overlooked; on first inspection, Calder and Behrens barely seem to feature at all in the story, merely getting a couple of mentions towards the end. In fact for the unsuspecting Calder/Behrens enthusiast only a passing reference to Fortescue – Calder and Behrens' boss – at the start of the tale gives the game (without rules) away that "The Terrorists" is a part of their canon. 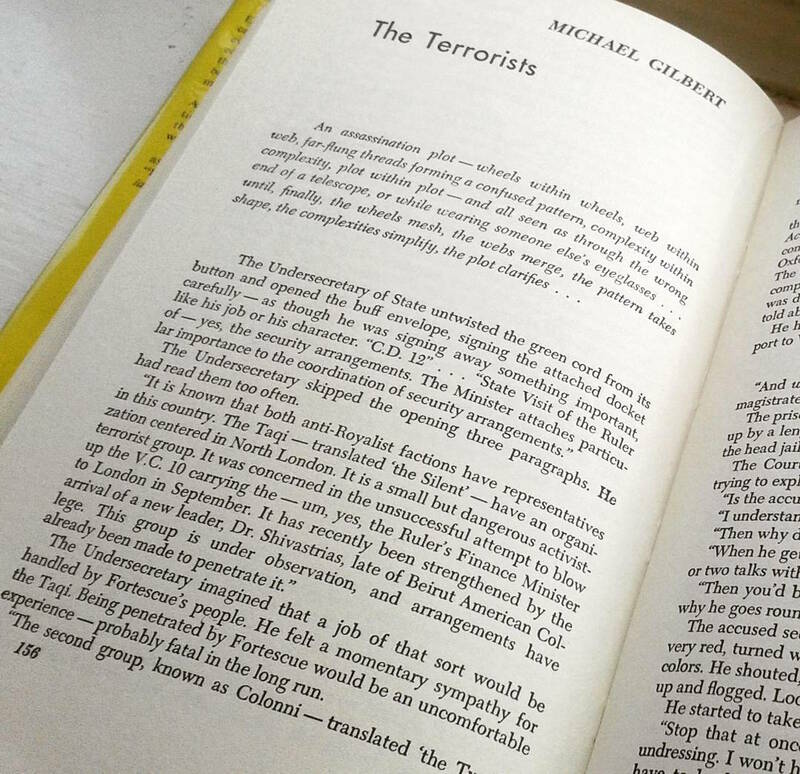 The pair do appear throughout, but under assumed names and identities, both of them operating undercover as a means of unpicking a plot by a middle-eastern terrorist cell to set off a bomb in London (there's a nice, explicitly acknowledged, bit of misdirection as to which of the terrorists Calder and/or Behrens is). It's a good story, well worth the effort, I would say – at least for those aforementioned Calder/Behrens enthusiasts – of tracking it down – something that shouldn't prove too difficult for anyone so inclined; while the Gollancz edition is pretty scarce and the New American Library edition not much more common, there are at least half a dozen copies of the 1969 Signet paperback edition available online as I type, and fairly cheaply too. Linked in Friday's Forgotten Books, 10/4/17. After seeing GAME WITHOUT RULES mentioned so often I have just ordered it on Kindle. Thanks! Well after I've banged on about it so much, I hope you enjoy it! 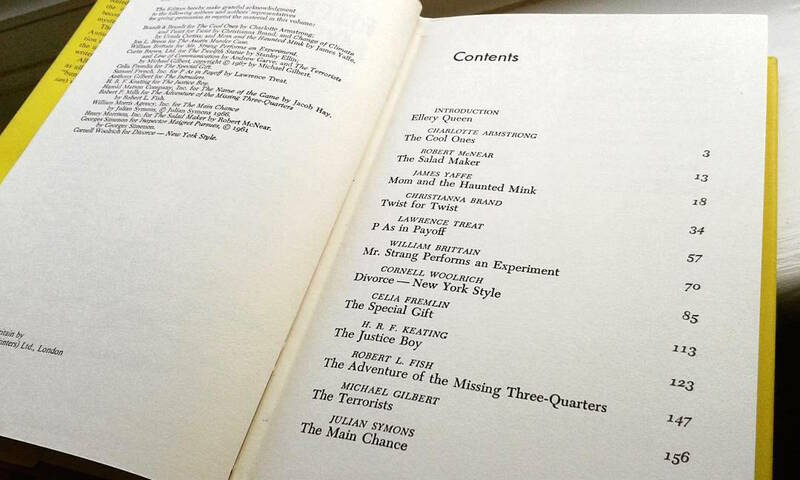 There's a story featuring an agent who is eventually revealed to be Calder in Gilbert's collection "Anything For A Quiet Life". All the stories are quite good. Ah, now I saw that mentioned on Wikipedia but it didn't say anything beyond that Calder makes a brief appearance. Your info makes me more inclined to check it out. Thanks! The rest of the stories are not espionage, and though there are crimes up to and including murder, they're really not that hardboiled either. But still very entertaining.